Readers responding to AIN’s 2016 Product Support Survey rank Embraer at the top, with the highest combined overall average (8.4 out of a possible 10) for newer and older aircraft. Dassault Falcon and Gulfstream (both midsize- and large-cabin jets) tie for second place at 8.2. In third place this year is Bombardier’s Challenger series at 8.1, up 0.1 but matching last year’s third-place finish. 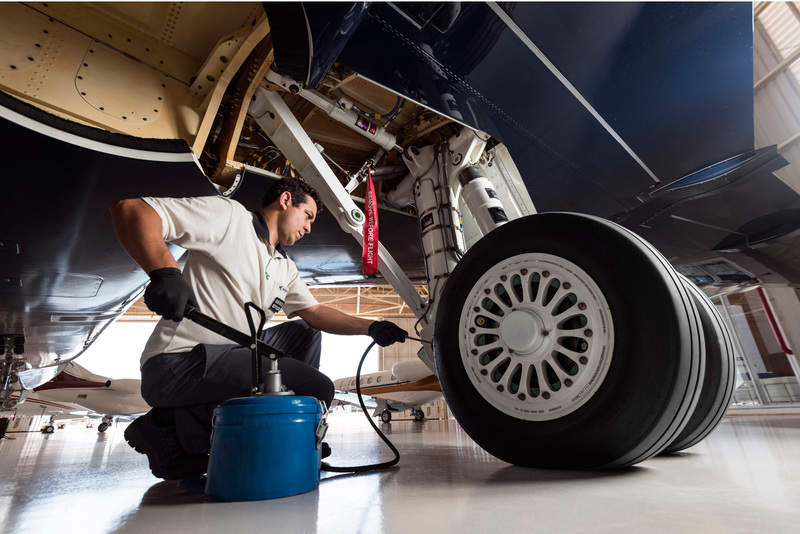 Two manufacturers tied for fourth place, both with a 7.9 rating, up 0.2 from last year, and these are Bombardier’s Globals and Textron Aviation’s Citations. Bombardier’s Learjet support climbed to a 7.8 rating, up from last year’s 7.7, leaving it with a fifth-place ranking. Textron Aviation’s out-of-production jets see a divergence this year, with the smaller jets climbing by 0.2, to 7.4, but the midsize Hawkers dropping to 6.9. In the turboprop arena, Mitsubishi’s MU-2s climbed to 9.3 from last year’s 9.1 to top this category, followed by Pilatus’s PC-12s (7.6) and Textron Aviation’s King Airs (7.1), the same placements as last year. Rotorcraft rankings start with Bell Helicopter at the top of the list (7.5), as it was last year, but with a lower rating (down 0.4), then Airbus Helicopters holding the number-two place (down 0.3 from last year). Sikorsky moved up one place this year to third with 6.5, up 0.2, followed by AgustaWestland with 6.3. We asked AIN Product Support participants to list their favorite support providers and what they like about the service they receive. Here are some of the companies and people respondents chose to recognize. Read the full list at www.ainonline.com/above-beyond-2016.